An Advertising Juggernaut And Christmas: Match Made In Heaven? People saw Star Wars: Episode VII The Force Awakens on Christmas day last year. Though not what you would call packed, Countryside Mall’s theater contained people watching the new round of the sci-fi series. How many of those people did that because they had nothing to do on the holiday is a sad speculation I am not willing to elaborate on, but Lucas and Disney made money that day. And was it intentional beyond normal parameters? Is Disney advertising for watching a Star Wars movie on Christmas day as a potential “tradition”—at least until the new trilogy and companion trilogy finishes? It might be hard to recall, but when the advertisements for The Force Awakens began, they advertised it as coming out in “December 2015,” which marked it as coming out around Christmas time (I even remember seeing an advertisement saying it came out “Christmas Day.”). But, I wonder if this was part of the plan? Sure, it may just be because they had the movie ready to go, but they do schedule these things with a lot of stuff in mind, so why around Christmas? But, as I said in the beginning of the article, I think they also wanted the movie to become a linked franchise to Christmas time. A lot of the target audience is around—free from school, and in a softer version of what the Saw franchise did to itself with Halloween, they could become an expectation of the holiday. Now, it takes a lot to shove oneself into existing Christmas traditions. It’s got its work cut out for it if indeed this is the plan, but if someone, anyone, can manage it, well, this is Star Wars we are talking about. They are powerful in a way difficult to comprehend. Their advertising, with the right announcement, can cement it as a thing kids grow up watching on the 25th, just as easily as A Christmas Story, or the Claymation Rudolph The Red-Nosed Reindeer, or, and you might accuse me of blasphemy for saying this: Dr. Seuss’s The Grinch Who Stole Christmas, even without being tied to a holiday. We do live in the world of franchises, after all. So, we’ll see if I’m right. We’ll certainly see. 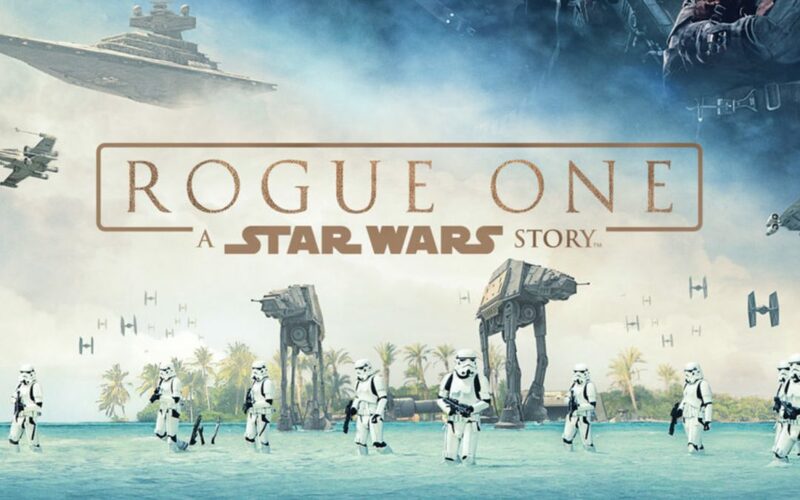 With Rogue One coming out this year, a pattern may form, or perhaps not even Star Wars can take control of the holiday. The force of their advertising will decide.